2019 SOUTH BAY 220 CR For both the first-time buyers and educated repeat boaters who want great features at great pricing, this popular series is a home run. Look at all of our superior features and you’ll agree! Find meticulous attention to detail and top-level standards and optional equipment with Sport series. This is the best of the best. 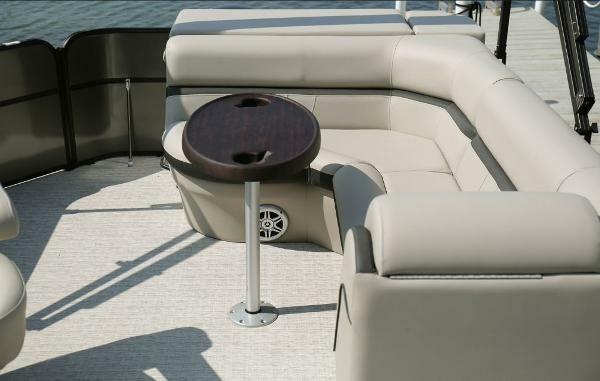 Compare to other similarly priced luxury performance pontoons and you will discover the difference. 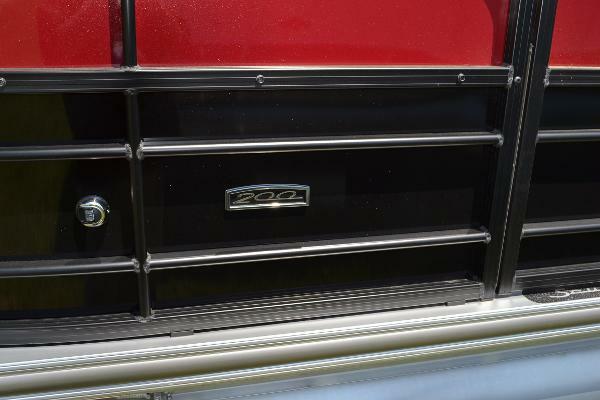 This feature-rich, value-minded pontoon boat series is not entrylevel at all. 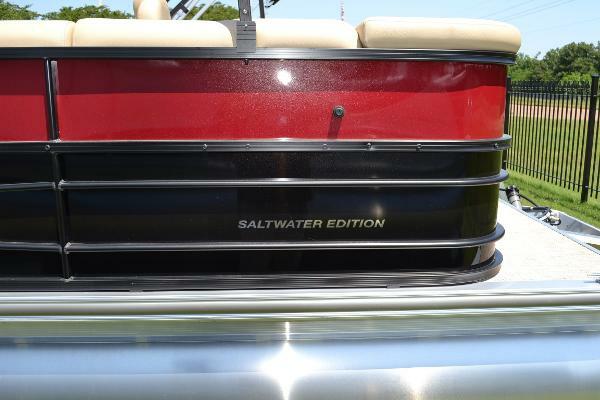 Other brands’ higher-end pontoons fall short in comparison. Top quality construction techniques and materials set us apart. 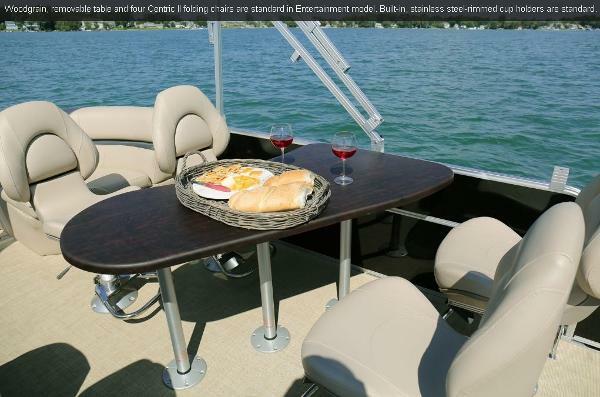 And spacious 10-foot bimini tops, 16” on-center crossmembers, Bluetooth compatible stereo and exclusive seamless V-Lite composite decking are all features not found in the options column much less the standards of most other brands. South Bay has raised the bar. 2018 South Bay S 220 CR available at both Melbourne and Ft Pierce locations. 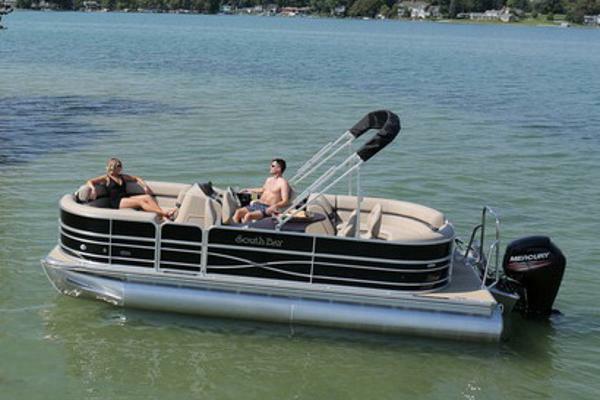 For a feature rich entry-level pontoon that isn’t entry-level, check out the South Bay 200 Series. Compare to anyone else’s pontoon & you will find the yardstick we use is ours exclusively. Quality construction incorporating many of the same applications and materials found in our top of the line models are utilized in this series. 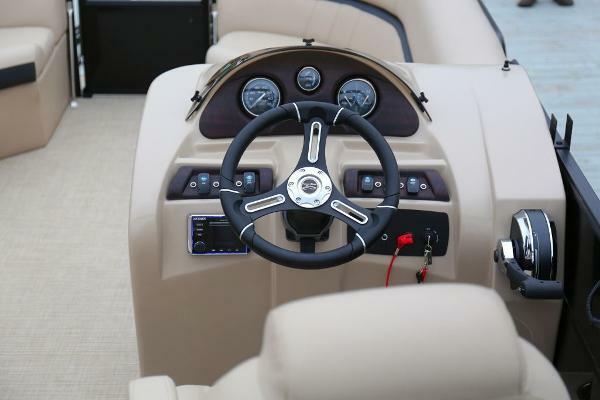 Spacious 10 foot bimini tops, 16” on-center cross members, Bluetooth compatible stereo and many more items you may find in the options column on other brands are all standard on our 200 Series boats. 2018 South Bay S 220 CR available at all 2 locations. 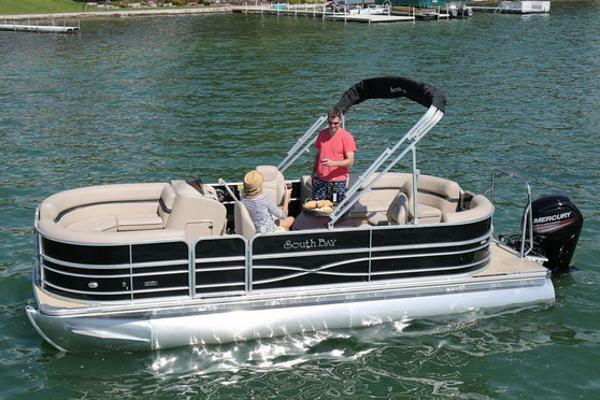 For a feature rich entry-level pontoon that isn’t entry-level, check out the South Bay 200 Series. Compare to anyone else’s pontoon & you will find the yardstick we use is ours exclusively. Quality construction incorporating many of the same applications and materials found in our top of the line models are utilized in this series. 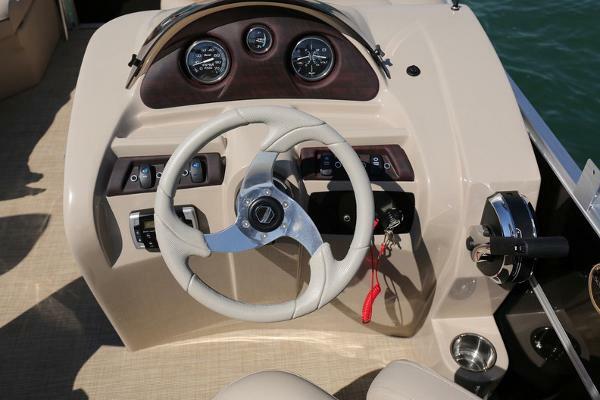 Spacious 10 foot bimini tops, 16” on-center cross members, Bluetooth compatible stereo and many more items you may find in the options column on other brands are all standard on our 200 Series boats. Stock# 78252A This new 2017 South Bay 220CR Pontoon two tube is a feature rich entry-level pontoon that isn’t entry-level. Quality construction incorporating many of the same applications and materials found in South Bay’s top of the line models are utilized in this series. Spacious 10 foot Bimini tops, 16” on-center cross members, 25” tubes, full rail panels, Kicker Radio upgrade w/4 speakers are just a few. 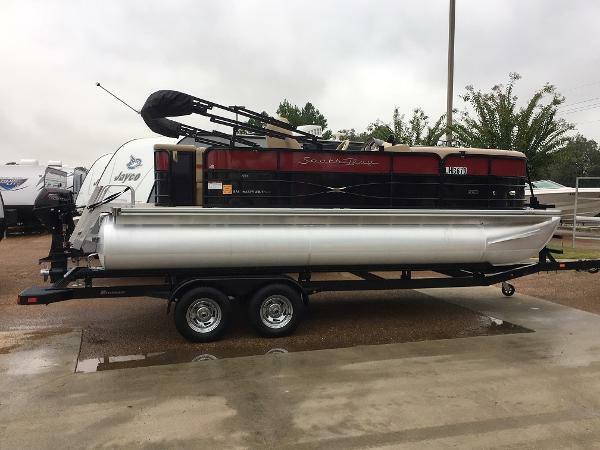 Southaven RV & Marine in Southaven Ms. Just 5 minutes south of Memphis offers this boat with a 2017 Mercury 9.9 hp Four Stroke. Great for horsepower restricted lakes. Includes a single axle Boat Mate Custom Trailer.